The Broward Alumni Chapter of Florida A&M University (FAMU) is proud to announce its Sixth Annual Unity Day Celebration, which originated with the intent of uniting the community with FAMU on issues involving education. The 2016 focus is to assist the university with a S.O.S. (Save Our Students) $500,000 Scholarship Retention Campaign, which was kicked off on Feb. 4, 2016 by LTC Gregory Clark, to help over 1,000 students presently not enrolled due to lack of financial funds. 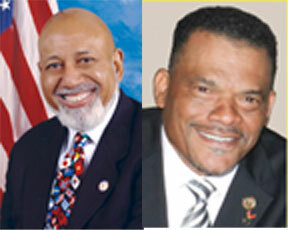 The Honorable Congressman Alcee Hastings will be the keynote speaker, sharing the dais with LTC Gregory Clark, FAMU NAA President and Bobby Henry, Sr., CEO Westside Gazette, the Master of Ceremonies. The celebration event will be held at Signature Grand in Davie, Fla. from 11 a.m. until 2 p.m. on Saturday, June 25, 2016. All alumni, family, friends, and supporters are invited to attend. For more information call Marye Shelton at (954) 649-8904, the Broward County Chapter (954) 296-3519 or visit www.browardrattlers.com for online tickets.